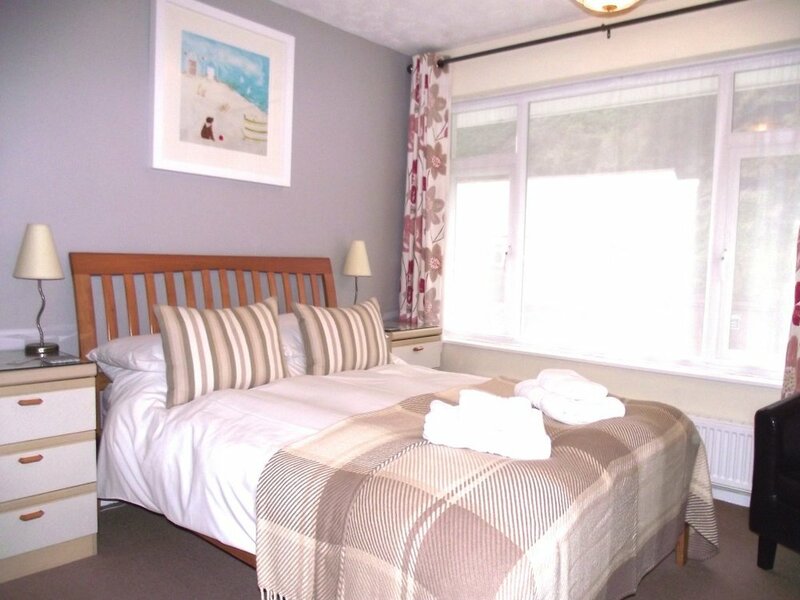 All of our rooms have soft colour schemes, coordinating scatter cushions, throws and soft towels. Fresh white linen creates an inviting and relaxing atmosphere and all rooms have free Wi-Fi access, colour TV and hairdryer. A refreshment tray with tea, coffee, hot chocolate, herbal and fruit teas and biscuits. En-suite facilities with complimentary shampoos, shower gels and soaps. 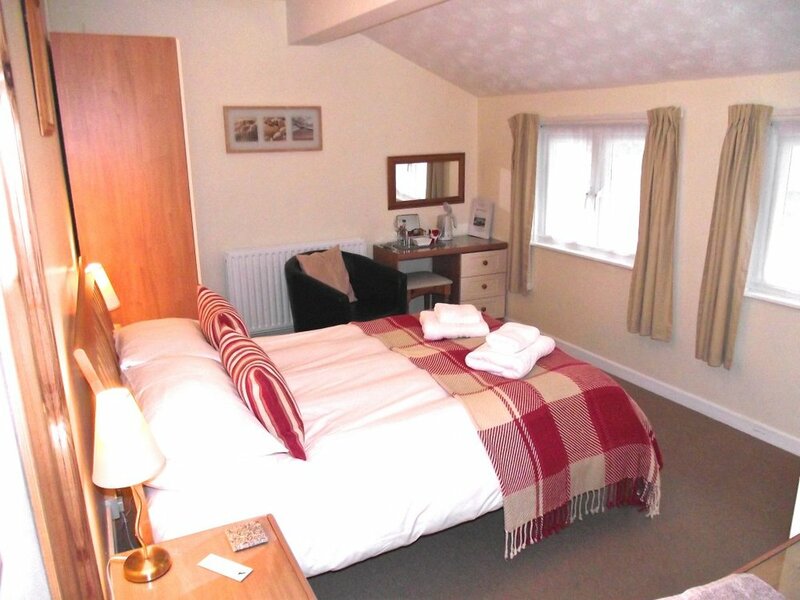 We have five en-suite guest rooms. 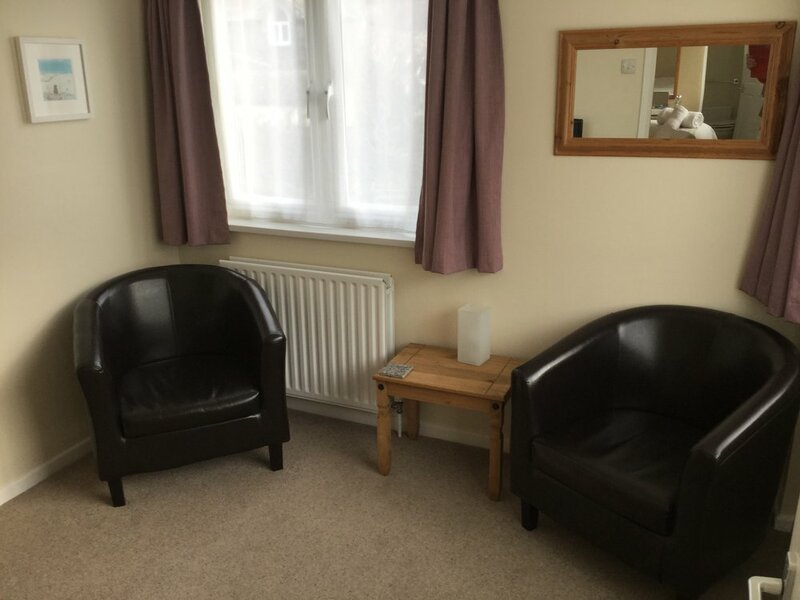 One King size Double/Twin room with balcony and sitting room. 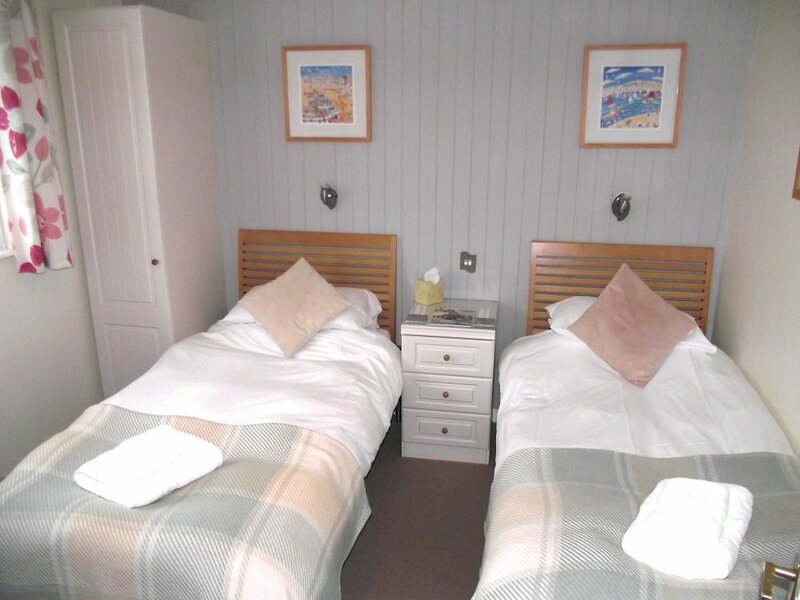 The King size Double /Twin room has a super kingsize double bed or 2 x 3ft twin beds. It also has a balcony and separate small sitting room. Ideal for longer stays. We are unable to cater for children under 12yrs of age.